Can you provide us some information about the story behind Blood 2? After Caleb destroyed Tchernobog, The One That Binds, at the end of Blood he returned to Earth with the goal of taking control of the Cabal as their leader, a position he feels is rightfully his. The Cabal consider Caleb and the other Chosen to be betrayers of the cause, and so wanted nothing but Caleb's death. This, of course, spurned a constant conflict between Caleb and the Cabal that has lasted 100 years, with Caleb unable to take over the Cabal by himself, and the Cabal failing in its efforts to destroy Caleb. During this 100 years Caleb quickly realizes that he can't take over the Cabal by himself, so sets about finding a way to bring back the other 3 Chosen to help him. He begins a quest to find the knowledge he needs, and the Cabal opposes him at every turn. In the meantime, the Cabal has been rebuilt since the events of Blood, and have founded a global mega-corporation to front their activities. According to Cabal tradition, they appoint a child of hereditarily sacred bloodlines to act as their leader, his name is Gideon. Gideon grows to adulthood and assumes control of the Cabal with the belief that the destruction of Caleb is their salvation. Blood 2 begins in the year 2028. Caleb has recovered the last artifact he needs to raise the other 3 Chosen, so he raises them. (this is the opening cut scene) The Chosen then form a shaky alliance and agree to go after the Cabal. This is the back story, and it sets up the events that occur throughout the actual game. The story will twist and turn several times, developing the characters and going in new directions as the player discovers the ramifications of what's REALLY going on. The story links heavily into events that occured in Blood, as well as events that occur in Blood 2. My goal with the story for Blood 2 is to make it much more than just window dressing for action, or a setup for why you are killing things, but rather a complex set of events that all relate to one another. The characters will develop over the course of the game, and your opinions about them may be vastly different by the end. The player will constantly be discovering elements of what's going on that will remain consistent throughout. Like a character in a movie, the player will have to deal with events that may occur unlike they expected, and will be constantly intrigued regarding not just what is happening, but why. What major improvements over the original Blood game can we expect in the sequel? Too numerous to list, not the least of which will be an improved and more consistent story, and a true 3D engine. Without entering into great detail, what are the differences (if any) between Microsoft's DirectX and Monolith's DirectEngine? How large is Blood 2 in terms of the number of levels and their sizes? In what kind of environments do players move about? How many single/multiplayer levels are there? Will the game ship with a level editor? Its the typical size for a 3D game. 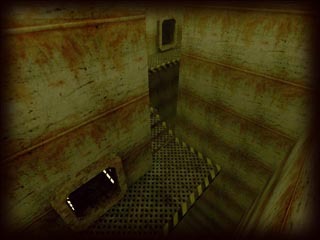 About 30 levels, ranging from small to large, but most falling in the medium range (a little bigger than the average Quake 2 level). The environments are mostly urban city areas, with a look heavily influenced by films like "The Crow". In addition to these primary levels, there will be an eight level Bloodbath multi-player level. We will ship the editor with the game. How realistic will the enemies be in the game? Will they be represented by sprites or with 3D polygons as in Quake? Very realistic. All the creatures are 3D models, with most of the models utilizing in the area of 1000 polygons (compared to the 600 to 700 in most 3D games). The high polygon count is made possible by a new modeling system that was created for DirectEngine that allows 250 degrees of detail on each model. This allows a 1000 polygon model to be reduced to as little as 250 polygons at a medium distance with no visible loss of detail. The numerous levels of detail means that the models scale their polygons down smoothly, with no abrupt polygon-dropping. Will the AI algorithm be different than the first version of Blood? Yes. We have a full-time engineer working only on creature AI. Expect something special. What kind of new weapons will be introduced in Blood 2? Which one is your favorite and why? 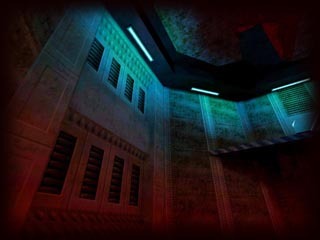 For example, let's say we had to compare graphics between Blood 2 and Quake 2. What does Blood 2 have that Quake 2 doesn't? I can't really say at this point, since the engine isn't complete. We have everything that Quake 2 has, plus a few special features, and we're looking on ways to improve upon how Quake 2 handles many things. Right now we're concentrating on gameplay, and leaving the huge leaps in engineering to the DirectEngine team. What will be the maximum screen resolution the game will run in? As high as you can crank it. This is more limited by your system than the game. A Voodoo 2 chip will probably run in it 800x600 or even 1024x768 just fine. What is the expected release date of Blood 2? Is development on schedule? Development is slightly ahead of schedule at this point, but I don't expect that to remain the case. ;) We should be able to hit a Fall '98 release no problem. If there was just one word to resume what you think Blood 2 will be when finished, what would that be?